How long does it take to repair jewellery? As designer jewellers in Brisbane, we have many customers who ask us to repair their jewellery. Sometimes the jewellery has simply broken for a variety of reasons and other times, they have lost a diamond or other precious stone, because the settings have become loose. Our customers are often surprised to learn that it can take up to two weeks for us to repair their treasured items, but there are very good reasons why it can take this long. Once we explain the reasons behind our repair schedules, our customers are more than happy to leave their precious jewellery with us for repairs. As one of the leading designer jewellers in Brisbane, we both design and repair jewellery. This means that we need to schedule repairs to fit in with our time frames. Once one of our craftsmen begins designing a custom piece of jewellery or commences to repair an item of jewellery, he or she will continue until the piece is perfect. 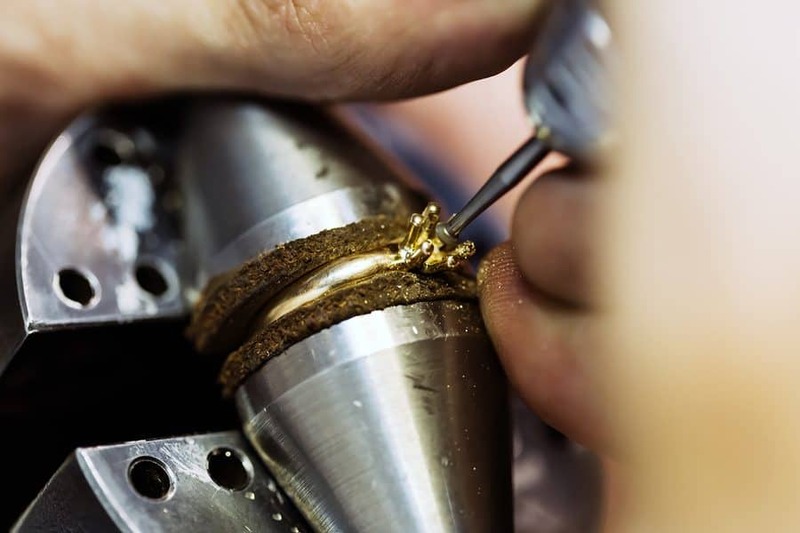 This means that our repairs times must be flexible enough to accommodate our roles as both expert designer jewellers in Brisbane and professional repairers of jewellery. Every piece of jewellery deserves the complete attention of our master craftsmen to ensure that each piece is perfect. Our customers bring their repairs to us because we are professional designer jewellers in Brisbane, and they appreciate the quality and the time we invest in every single design or repair. Some repairs are quite simple and others far more complicated, taking hours of precision and an expert eye. In some instances, we need to source the best diamonds or other precious gems as replacements for stones that have been lost and of course, this takes time. On some occasions, repairs can be completed very swiftly, it simply depends on the amount of design and repair work we have on our books. Since we are well known for our exceptional work and our high quality repairs, and because people know that we are designer jewellers in Brisbane, our expert craftsmen are in great demand. To make an appointment to see us for jewellery repairs, please 07 3012 8112 or visit our design studio in the Brisbane Arcade. https://ashleydouglas.com.au/wp-content/uploads/bigstock-Ring-Being-Repaired-Crafted-108836015.jpg 600 900 Ashley Tester https://ashleydouglas.com.au/wp-content/uploads/Logo.png Ashley Tester2017-02-28 08:00:492017-12-28 10:23:15How long does it take to repair jewellery? How to select the best wedding rings in Brisbane What types of metals are available for wedding rings?